“The report, published in the journal Nature Climate Change, notes most research looks at the impacts of global warming by 2100 and so misses one of the biggest consequences for civilisation – the long-term melting of polar ice caps and sea-level rise. “This is because the great ice sheets take thousand of years to react fully to higher temperatures. The researchers say this long-term view raises moral questions about the kind of environment being passed down to future generations. GR: This report focuses on sea level. It reaffirms previous realizations by climate scientists that even after we stop adding CO2 to the atmosphere and limit global temperature rise to 2C, sea level will keep rising for thousands of years. That’s not all, extreme storms, droughts, fires, and disease outbreaks, and the extinction of wildlife and ecosystems will also continue. As frightening as this is, many have acknowledged that 2C is an optimistic value. Human nature (avarice) and the inertia of our grow-or-die civilization will take us past 2C. There is no doubt now that we have condemned our descendants to a stark future of uncertain survival. Thus we belatedly learn that the American Dream was a Pandora’s Box nightmare the pursuit of which has doomed human civilization to regret lasting for a thousand generations or more. We may see civilization collapse before the seas rise by 150 feet. 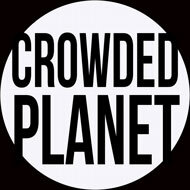 A growing number of scientists foresee that our growing population and shrinking resources will soon join climate change as major destructors of our current economic, social, and cultural systems, our civilization (http://wp.me/p26kDO-j2l). 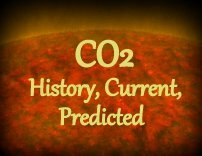 FB: Like a kettle on the stove, current CO2 levels guarantee that global warming, sea-level rise, and wildlife extinctions will continue for thousands of years. This entry was posted in Climate Change, Global Warming, Sea Level by GarryRogers. Bookmark the permalink. I started my site to deal with these and connected issues. If you’d be interested in sharing, your thoughts would be welcome.